History lovers appreciate the stories that make up the Clearwater legacy. Below you’ll find a narrative about Clearwater’s founders, Charlie and Petra Boostrom, as well as other links and books where you can find more information. 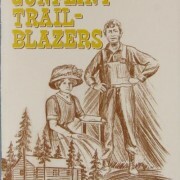 You’ll also find a 6-minute video history, plus a delightful 6-part series with Charlie and Petra’s daughter called “An Evening with Harriet.” These were filmed during Harriet’s fireside story-telling sessions with guests at the lodge, during which she talked about growing up on the Gunflint Trail. Charlie spent months exploring the lands and lakes in the area. The native Indians taught him how to hunt, fish, trap, and survive . 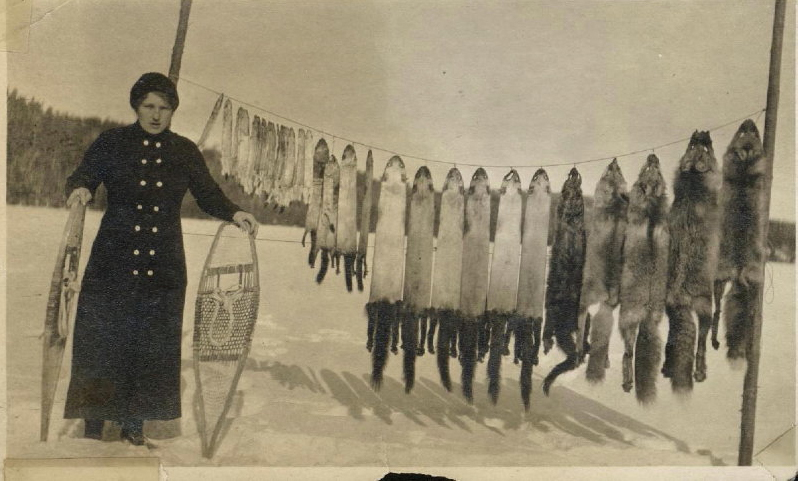 After two years of living off the land with a Chippewa tribe, he had collected enough furs to buy his own hunting gear, tent, cooking kits, and utensils. 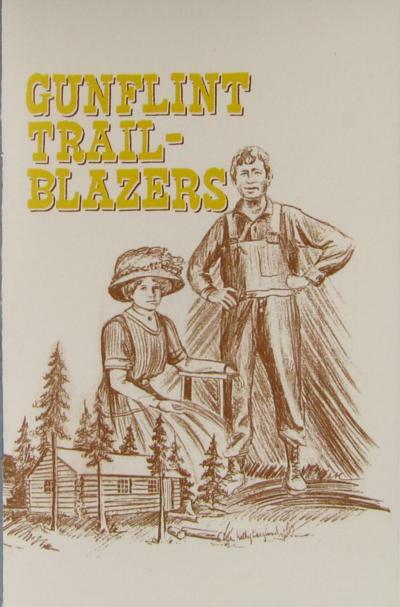 In 1911, he became a trail guide on the Gunflint Trail—and he was good at it. By 1912, he had a steady stream of visitors wanting him to guide them through the beautiful Northwoods. Around this same time, a lovely girl from Charlie’s home town of Milaca caught his eye. He quickly realized Petra was the girl for him and asked her to be his wife. Unfortunately for Charlie, she said no! He was still living in a tent, and Petra made it clear she just didn’t want to live that way, even if it was with the man she loved. She told him if he built a cabin, however, she would reconsider. With this promise, Charlie began building a cabin, and they were married in 1913. Soon after, Charlie took Petra to see Clearwater Lake. He excitedly showed her the beautiful palisades down the lake as they stood near the water’s edge. It was then that he shared with her his dream of buying land on the lake. Petra agreed that there was no finer view in the area and his dream became hers, too. 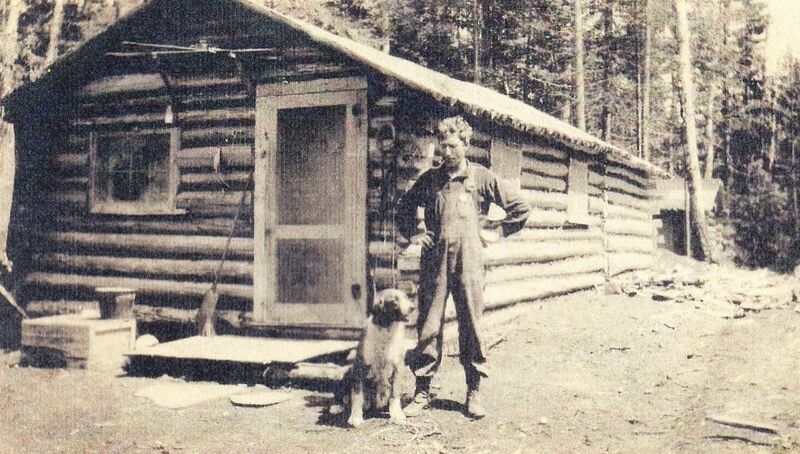 In 1914, the newlyweds purchased an existing cabin near a fishing camp that rested on the shores of Clearwater Lake. Charlie’s guide and outfitting businesses was flourishing so the couple decided to expand. In 1915 Clearwater Lake Lodge opened as the first resort on the Gunflint Trail. Originally, Charlie set up tent platforms around the cabin and pitched tents for guests as they arrived. Charlie and Petra lived in the cabin and cooked and served their guests’ meals there. But over time, as their family and business grew, the original cabin became insufficient for their needs. The family moved out of the cabin during the busy summer season and lived in tents, as the entire cabin was now needed for the preparing and serving of meals. The older children shared tents, boys in one and girls in the other, while Charlie and Petra shared a tent with the younger children. Petra’s fur trap – courtesy of the Gunflint Trail Historical Society archives. 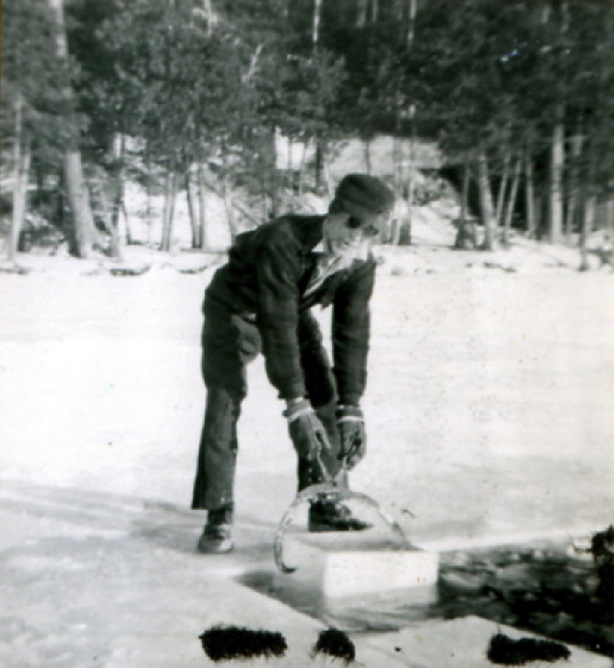 In 1922, Charlie began gathering logs for building Clearwater’s main lodge. In 1926 the lodge was completed, and included a dining room, a kitchen, a sitting area around a large stone hearth, and 14 rooms upstairs. The family occupied some of the rooms, while others were rented out to a steady stream of guests. Once the lodge was complete, Charlie began building smaller guest cabins around the property—four of which are still in use. Charlie built furniture during the winter months, creating many original pieces. The dining room tables and chairs, as well as the beautiful Diamond Willow furniture, are still used by the guests today. Charlie and Petra worked hard. Charlie spent his time guiding on the trail and working around the property. Petra baked 30 loaves of bread a day. She also became quite famous for her homemade sweet rolls and pies. In 1946, most of the ten Boostrom children were grown and gone and the workload had become far too heavy for Charlie and Petra. After much discussion, they decided to sell the lodge. Though the lodge was no longer theirs, their deep love for the Northwoods remained. They built a house close to the lodge and continued to enjoy the view they fell in love with all those years before. During the 1960s, the BWCA was officially recognized. The lodge owners at that time, the Nelsons, added a full-time canoe outfitting operation. Over the years, Clearwater Lodge has had several caretakers, including the Schlieps, Mannings, Eliasons, Nelsons, Marchinos, Traces, and Clarks—all of whom had their own inspiration for the lodge. Each family has added to the property’s charm and beauty. Guests are still able to sit on the delightful wraparound deck and enjoy the views of those lovely palisades that originally won the Boostroms’ hearts. The lodge’s original charm still shines, thanks to Charlie’s excellent craftsmanship. Inside, a few updates have been made, but the lodge is filled with photos and other items that belonged to the Boostrom family. Now, even 100 years later, Charlie’s adventurous spirit and the feeling of Petra’s warmth are alive and well within the walls of the lodge. The love and hospitality that began all those years ago with the Boostroms continues with each guest that walks through the doors. Since 2011, the Clark family has owned the lodge. Their main objective is to restore the lodge to its original glory and to help preserve the beautiful wilderness experience that Charlie and Petra loved and dedicated their lives to sharing with others. Available at the Cook County Historic Society Museum Store and in our store at Clearwater Historic Lodge.